Here’s a few Dj events from Fall Weddings that happened in Rochester and Winona, Minnesota in the month of October 2016. How to hire a DJ. This is a very simple and informative post to those who haven’t hired a DJ before or if you’re looking for fresh ideas this is something you won’t hear DJ’s talk about. Most dj’s don’t talk about how many years of experience they have or what different parties they dj’d for. There is upcoming listings of DJ’s on google if you search for the term “djs in *your area*” because they pay for advertising and expect to get hired. I haven’t paid for advertising in years and remain on the front page of google. Overall it’s not about paying for advertisement or posting on craigslist to get clients, it’s word of mouth that helps get clients. If you’re a good DJ, word of mouth travels faster than getting that hit on google. 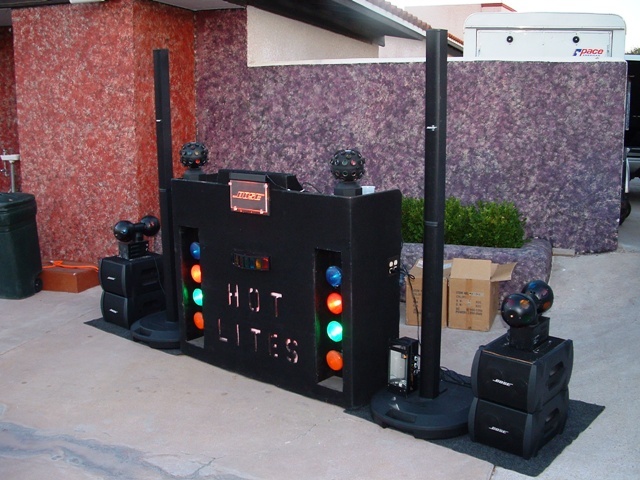 It’s the experience of rocking a party that will get people talking. Which brings up the next subject……. You tend to see the new technology in how DJ’s are using it. Wether it’s through Spotify, Apple music, Pandora, Serato, Traktor or Virtual DJ. Many DJ’s aren’t focused in all types of genre’s. They usually are experienced in playing what they like or “other suggestions” from these phone apps. Most of them don’t even know how to read the key of a song (yes, songs have their key in tone just like a piano does) or read the Tempo/BPM. You can’t play a song in an A minor with a tempo of 130 and try to mix it with a G major with a tempo of 80. That’s called a clash or a hit me in the head mix. Many Dj’s have a database of music on their laptops nowadays or access to the internet for special request. That’s great but what song comes next after a classic rock song? Rap? Dance? On to the explanation………. Radio disc jockey’s don’t mix music. They hit play and do most of the talking/promotions and news. 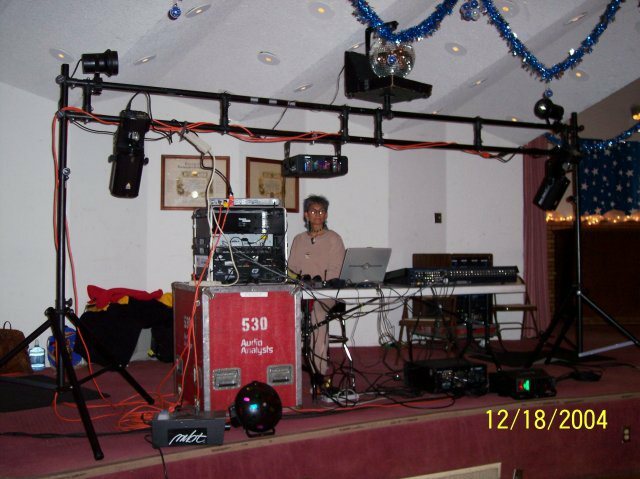 When you hire a mix DJ, he concentrates on mixing song A to song B to keep the party alive all night (Also don’t forget he’s keeping the keys of the songs on point). It is continuous every 2 minutes and helps play most genre’s for the people who hear different music. It helps the process of satisfying everyone in the crowd, young and old in a much faster way. This is really hard work because literally when I am djing I look/plan for the next song every 2 minutes. DJ’s who don’t know how to mix are sitting behind the booth waiting for the whole 4-5 minute song to end to play the next one. This leaves many people unsatisfied because they didn’t hear their favorite genre the whole night the DJ was playing. Think about it, that DJ played 40-50% of song compared to what a mix DJ can play. They expect to get paid a fair amount when they don’t even have mixing skills or much worse this…………..
Sure having a laptop with a controller is cool nowadays but is that enough to show a DJ is experienced? What happened to the old school form of carrying crates of vinyl or books of CD’s? or having to bust backs with carrying heavy amplifiers and expensive lighting gear. Thanks to improved technology these tools have become less heavier and more of a combo to help setup faster. I’ve combined the old age with the new digital age to keep that factor just like many DJ’s who continue to play at clubs, big events and tours. Those DJ’s continue to use turntables and have their music stored in their laptop. How is this possible? New technology my friend. Dj’s who use turntables are very skilled at mixing music because they are using their hands every 2 minutes to mix in the next song. Didn’t we just talk about this? The image still exist of wether he’s/she’s a good DJ or not because of the gear he/she uses to mix. Many corporate companies will only hire dj’s who use turntables. It’s a standard in many clubs across the world and an honor to keep the tradition alive. How about the right speakers? Most dj’s only offer 2 speakers but no subwoofers to add the “umph” of the bass beat. They don’t even know how to EQ the system to make it sound correctly. How about eliminating the feedback from using a microphone during a best man speech at a wedding or that important announcement from the boss at a corporate party? What about having the right lights? There’s a new thing called intelligent lighting where lights can be programmed to move certain directions or change to certain colors. Most dj’s who get hired don’t know what DMX means or should I say, they don’t know how to “network” the lights to make them all synchronized. This is club/concert type of experience they don’t have. Did I mention a DJ also have to change the lights whilst looking for the next song in the 2 minutes that he has? Yeah us experienced DJ’s work hard. Sure he can hire a lighting guy but will he know what song is next to change the lighting to fit the mood of the song? Hip Hop, Dance, Top 40, Rap, Country, old folk, Rock, Salsa, Bachata, Cumbia, Reggaeton, etc. Who plays that many genre’s? (Hint hint*) While keeping the dance floor moving? How about charging the right amount for the equipment needed? Most Dj’s charge a set rate for maybe 2-3 of their packages. I have many depending on the situation. That leaves the flexible option of djing more parties at a decent price. Who charges to use a wireless microphone? I know a few local Dj’s who do. When you hire a dj ask him/her if he’s willing to be flexible with the price. Not just in hours but in the equipment needed for your event. Ask also if he/she is willing to play any song request. That is the most important question of all. To sum it all up, DJ’s have a hard job (I haven’t even mentioned the hundreds feet of wires we have to connect!). Picking the right one for your once of a lifetime wedding or your corporate party is a tough decision. I hope this post will help you decide in which dj to pick. You can always ask me questions because I feel like I haven’t covered all the small details. Free information is hard to get, so enjoy it while you can!